Considering the fact that Google is perpetually changing its SEO standards and algorithms, it’s understandably difficult for a lot of digital content marketers to keep up with the updates and maintain best practices when it comes to blog optimization. To ascertain a top or even relatively high ranking position on Google’s search engine results pages, you need to make sure that your web site’s blog is kept up-to-date with excellent content containing relevant keywords. However, keywords are just the starting point when it comes to creating a successful blog on your web site. Optimizing your blog posts has a number of merits, the main one being that it can help you increase your web site rankings on search engine results pages. In addition to that, though, this crucial SEO practice can also help to organically increase your web site traffic by offering readers and prospective customers the answers to questions relating to your business, industry, products, and services. The bottom line is that if people are searching for something that’s relevant to your business, then you need to make sure that you’re blogging about it. Never underestimate the importance of regularly uploading informative and engaging blog posts on your web site because, oftentimes, this is the most effective method of reaching your target audience and otherwise untapped markets. Here are a few fundamental tips for optimizing your web site based on new SEO trends. For online users, there’s nothing more disengaging than visiting a company’s web site looking for specific information or solutions to a problem than realizing how utterly unimaginative and dull their blog section is. The first step to solving this problem is producing captivating content that pulls your readers or consumers in right from the get-go. How can you accomplish this? Come up with an inventive title for your blog that’s engaging to users while simultaneously summarizing what the blog is about as a whole. Including some of the most widely searched keywords and phrases in your blog title is also very beneficial. Savvy content marketers know that this is a golden opportunity to generate more views based on people’s search engine queries. If this is impossible to do, then the next best step is to include at least one keyword in your blog’s tagline—this is a single sentence that appears directly beneath the title describing what the blog is about and topics you plan on covering. Collectively, your blog should represent the latest trends and topics that pertain to your industry as a whole and your company specifically. Oftentimes, this can feel a lot like walking on a tightrope because not all industry-related trends are necessarily relevant to your business. This begs the question, should you mention aspects of your industry that bear very little or no connections to your actual business? The answer is to tread lightly and with caution with this one. While discussing certain industry-related topics on your web site can be helpful in terms of improving SEO and traffic, the last thing you want to do is mislead your potential customers into thinking you offer certain products or services if you don’t. With that said, however, it’s important and highly beneficial to stay on top of these trends and perhaps mention them as merely a means of sharing the information with online users. Each post should follow a particular formulaic structure while still maintaining its uniqueness to help keep things organized and prevent your blog section from becoming convoluted. To prevent the content in your blog section from becoming stale, outdated, or repetitive; it’s important to perform routine web site audits. This process is also instrumental to helping you catch glaring grammatical errors in your content, structural instabilities, broken links, and so forth. It’s also an opportunity to update and recycle older blog posts that are still currently relevant, but just need a little fine tuning for re-posting. If you still haven’t figured out the best method of reaching your target demographic, then try using social media to your advantage. Facebook, Twitter, Instagram, LinkedIn, and SnapChat all have legions of followers of all ages, cultural backgrounds, and socioeconomic standings. This is by far the best way to reach your target audience and even expand your customer base to different users who might otherwise never hear about your brand at all. Use hashtags and attention-grabbing content that’s currently trending in your industry to capture the interest of as many potential customers as possible and keep them engaged. Various social media platforms allow countless invaluable opportunities to directly interact with your customers, get their feedback, and answer questions for them. Linking to your latest blog posts is a great way to get them excited about supporting your company! Aside from the text, which is important, blog posts should consist of a wide range of images and videos to keep readers interested. For instance, if you’re running an entertainment web site and the main point of your blog section is to discuss celebrity news, then you need to include as much visual content regarding those celebrities as possible without taking away from the actual story. Interview clips, images of them at glamourous events, and even throwing in a few direct quotes is a great way to fill in your content and make it more informative but still entertaining. 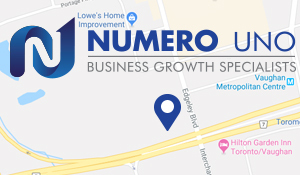 Numero Uno Web Solutions has all of the SEO marketing answers you’re looking for and we can help you optimize the entire blog section on your web site one post at a time. Our dedicated and experienced SEO team has helped countless small- and medium-sized business across North America build up and improve their online presences to reach global audiences and we can help you, too. 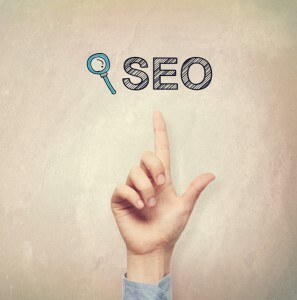 Contact us today to learn more about our SEO services!